The Hungarian capital has a long and eventful history, full of painful heteronomy and unfortunate decisions. 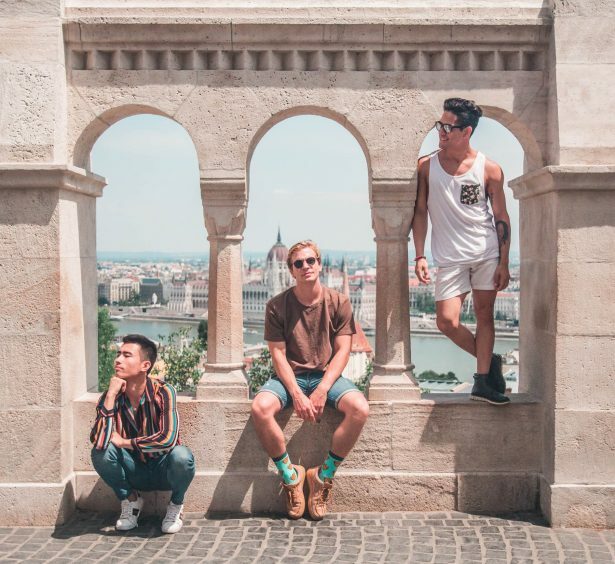 And yet life in Budapest is pulsating, there’s so much to see and discover, culinary delights leave absolutely nothing to be desired and a lively LGBTIQ* scene on top of that. And those who visit the city will be surprised to discover that prices have hardly increased. 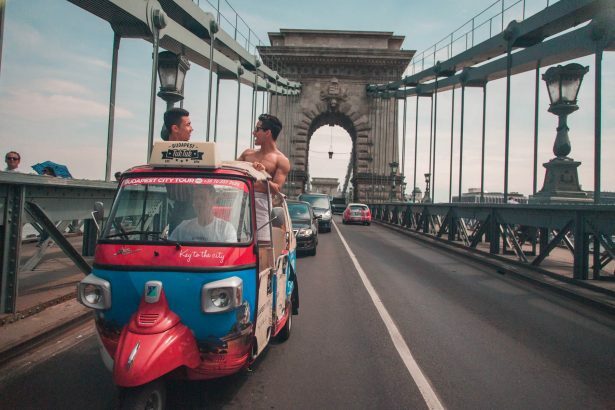 Budapest can be explored in a very special – and enormously entertaining – way:in a tuk tuk. Budapest Tuk Tuk takes you to the most important sights, always provided with interesting facts by the young drivers, and gives you an overview of the city in about 150 minutes. 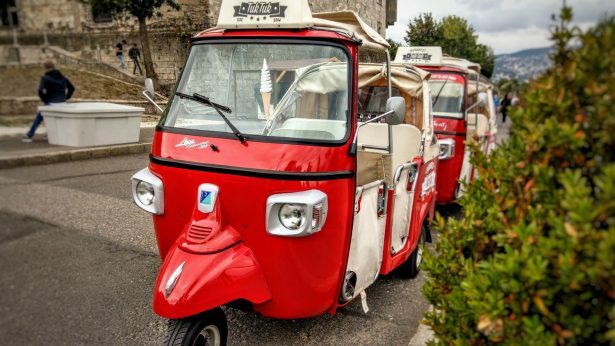 Almost literally since the 9 HP of the airy companion are strong enough to carry the guests up to the citadel and to the Statue of Liberty on the top of Gellért hill, from where you have a fantastic view. You can become a sight yourself and attract the attention of tourists with the roof of the tuk tuk open (it can be closed, if necessary) . The tuk tuk tour being a sight shares this attribute with another touristy means of transport in Budapest: the floating RiverRide bus. The city tour on this bus starts like a regular bus ride – with live commentary or recorded one in different languages. When the bus finally goes down a ramp into the Danube and hoots the ducks out of its way you know that this is not a regular bus that you have boarded. 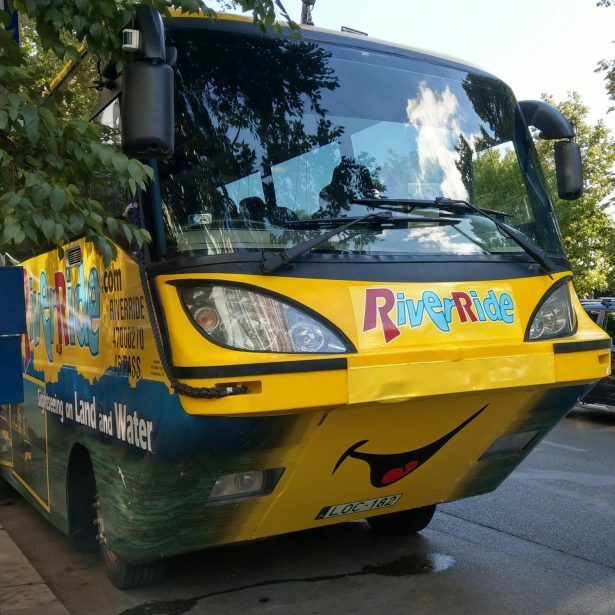 The vehicle starts to float immediately and then (followed by astonished looks of conventional river riders) moves down the Danube to explore he huge and beautiful Parliament Building amongst other sites. The building is located on the banks of the river Danube, which divides the city into the parts Buda and Pest that were two independent cities before. Another way to discover the city in a rather extraordinary vehicle is Rent-A-Trabant Budapest, with which you can make individual tours in original, but in best shape Trabants. 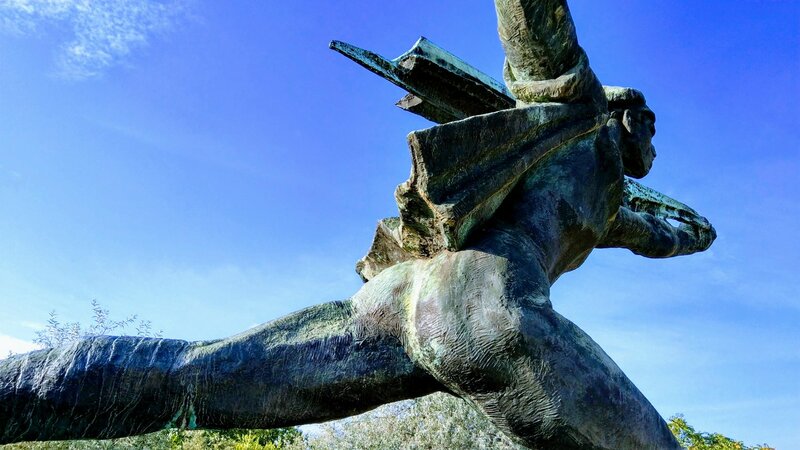 Pick-up (at the hotel), a driver as guide and gasoline are always included in the price and one of the most popular attractions is Memento Park, a highly educational and impressive collection of monuments from the time of Real Socialism. These unloved witnesses of the past are exhibited here in a distant yet preserving way, making history visible and tangible. 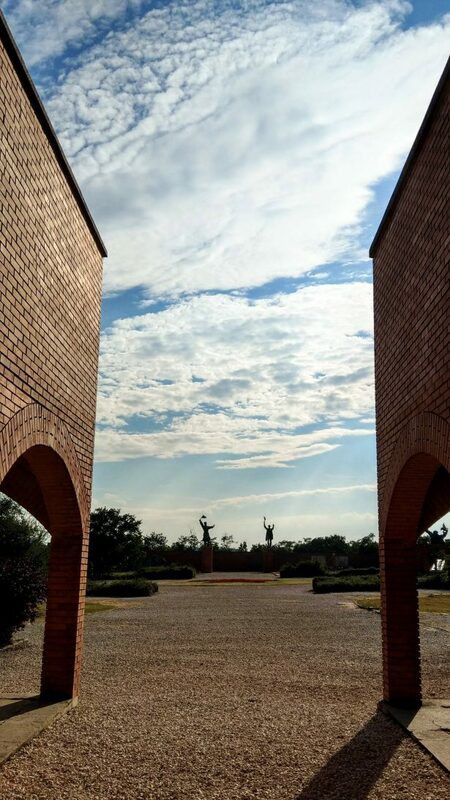 By the way, the visit contributes to the preservation, because this open-air museum has not received state support for several years and is therefore maintained by a private foundation. 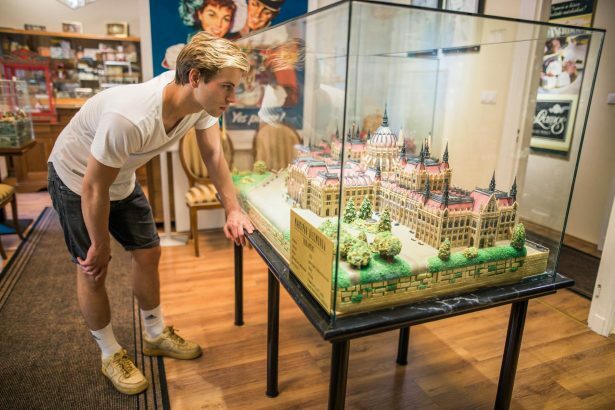 The centre of Budapest can also be easily explored on foot or by public transport. Those who would like to be shown the sights and insider tips by local experts and would also like to learn the basics of the Hungarian language at the same time, are in good hands with Fungarian. You do not only explore the city and its history on highly flexible and bespoke routes but try also local specialities (more information below) and learn how to to say Thank you (“Köszönöm!”) or Cheers! (“Egészségedre!”). Have fun with your lessons! Budapest has a very extensive public transport network with underground and suburban railway lines, many tram, trolleybus and bus lines that transport residents and tourists efficiently to their destinations. If you are a tourist, it is worth purchasing the so-called “Budapest Card”. With this you can use public transport for an unlimited period (and therefore do not have to worry about tickets), as well have access to a lot of sights for free or at a reduced price. 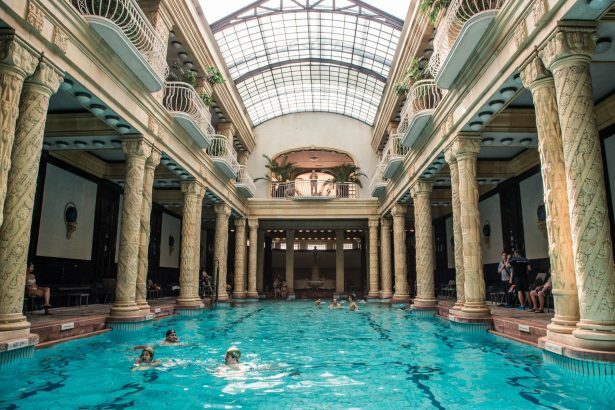 This includes admission to over 13 museums, a cave tour, two city tours, single admission to Lukács thermal and swimming pool and much more. The card is available for 24, 48, 72, 96 or 120 hours (always valid from the first use) and the costs are surprisingly low at between approx. 22 and 63 euros. Budapest Card entitles to free admission to the Hungarian National Gallery, the above-mentioned Memento Park and the Museum Ludwig, which is housed in the “Müpa” cultural complex and shows permanent and temporary exhibitions of first-class contemporary art. The tram also stops outside Grand Market Hall at Liberty Bridge. 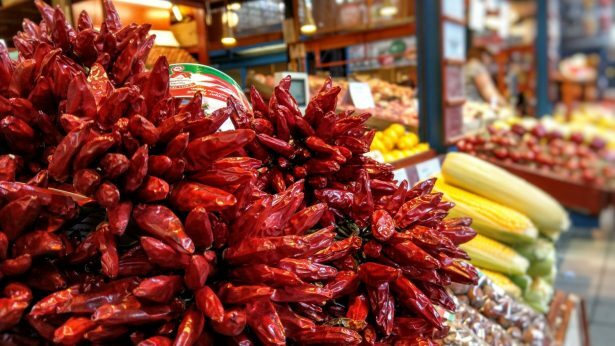 A visit to this huge covered market is a must for any visit to Budapest, especially if you want to take some Hungarian specialities home with you. 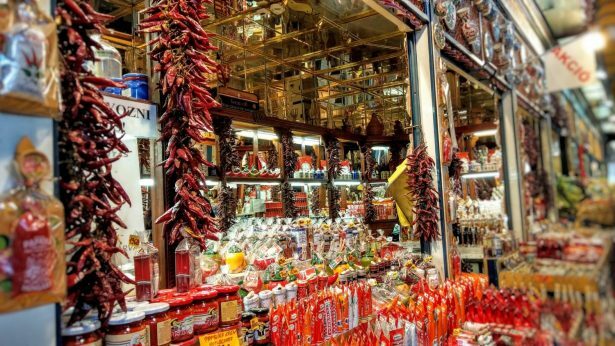 An almost endless selection of peppers and paprika, salami, Tokay, but also goose liver, caviar, spices and other delicacies as well as various authentic souvenirs are available here in abundance. We are at the culinary stage by now and Hungarian cuisine is not to be missed when in Budapest. Important to know: Goulash (“Gulyás”) in Hungary is always a soup. The dish served in Germany as Gulasch (cubes of beef in a thickened sauce) is called “Pörkölt” in Hungary and is far less cult than the soup or the equally ubiquitous paprika chicken (“Paprikás Csirke”). 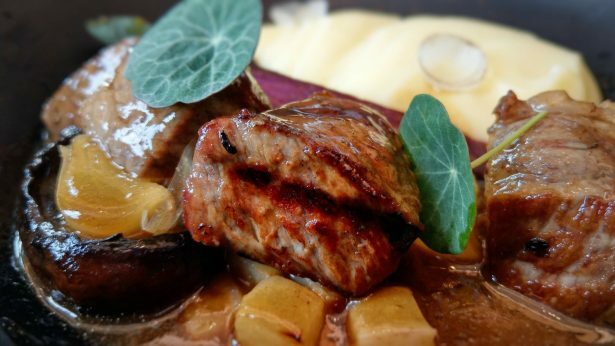 The modern Hungarian restaurant Antré offers classic flavours in a modern interpretation. 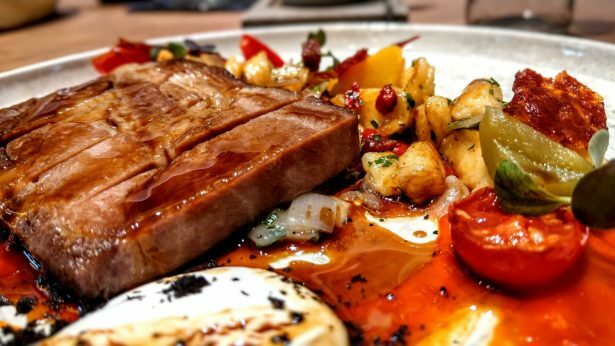 Located in a rather quiet passage in the centre, but away from the crowds of tourists, the traditional dishes are served here in a modern setting. 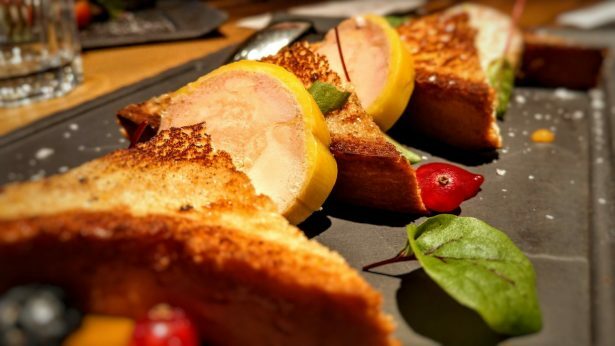 Insider tip: The duck liver is to die for! Visit the Szamos Chocolate Museum for coffee. Here you can learn about the history of chocolate and admire numerous historical exhibits, including a life-size marzipan figure of 78kg. Homemade cakes, chocolates and truffles invite you to spoil yourself. Those who then climb Castle Hill to visit the famous Castle Quarter can finish their visit with a dinner at the restaurant Baltazár. 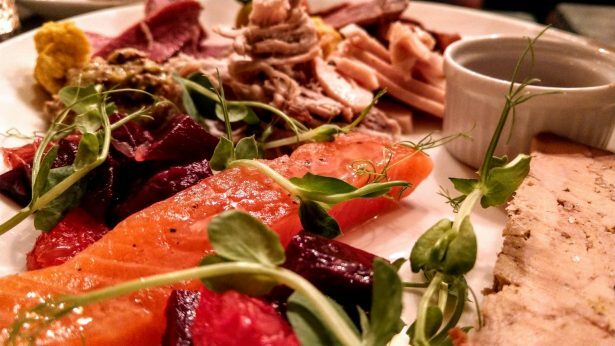 The menu focuses on high-quality BBQ meat, the drinks list has an impressive selection of wines but also a large one of the best gins. 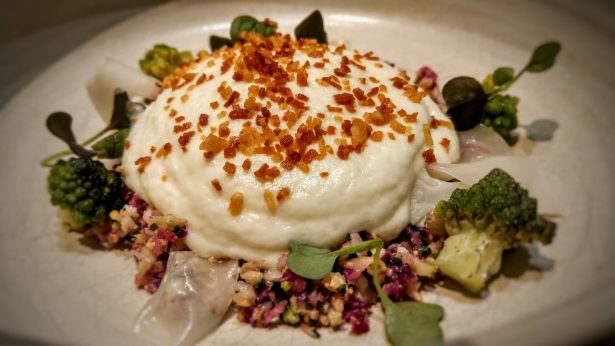 The best business lunch in town is perhaps at the Michelin-starred Restaurant Costes Downtown, where the atmosphere is relaxed rather than fancy. However, no compromises are made when it comes to food. 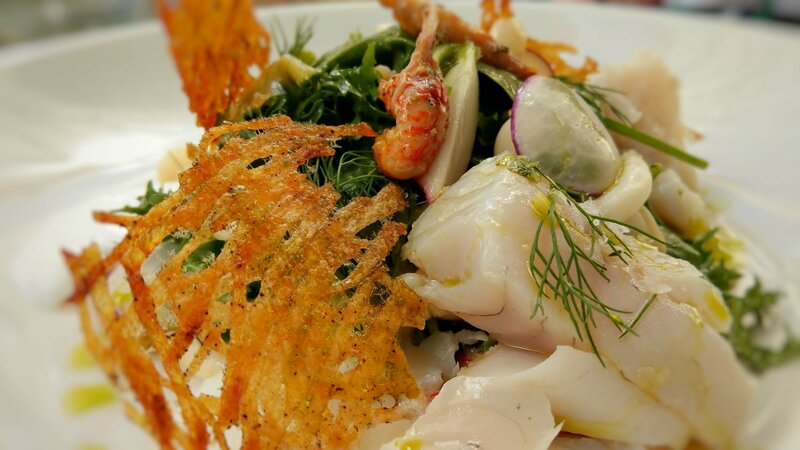 There is real star-quality food on your plate – a three-course set lunch menu for under 30 Euros! Those who really want to experience Budapest “like a local” should visit the “Gozsdu Udvar Arcade” in the Gozsdu neighbourhood one evening. 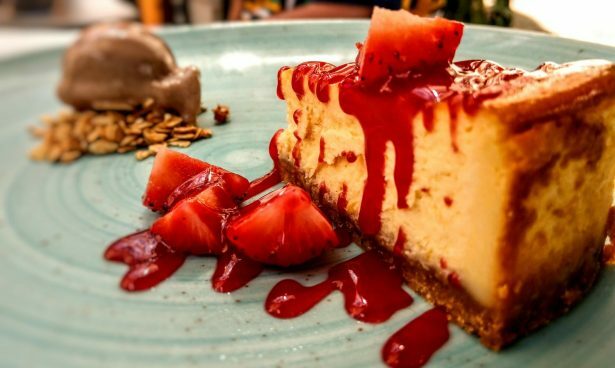 You can have a culinary experience here in a passage that links six courtyards, connecting two streets, hosting restaurants, bars and pubs of all kinds. The “Spíler” with its two restaurants by the same owner is situated on the famous Kiraly utca. 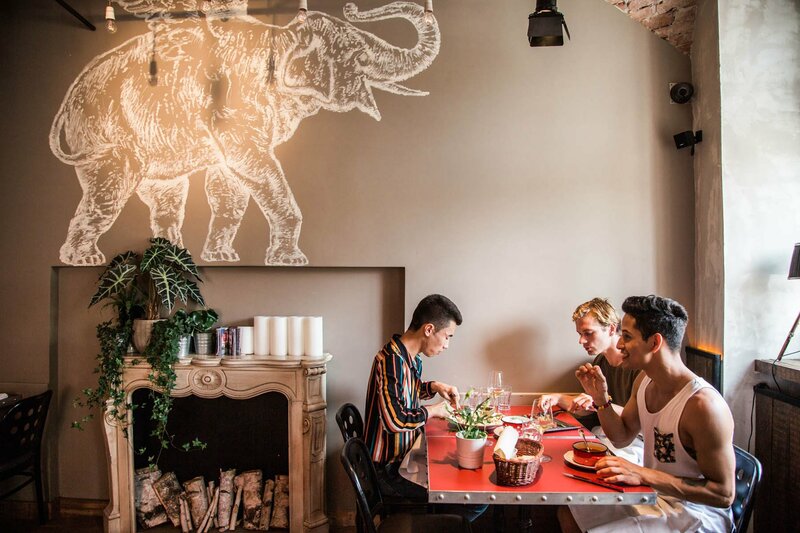 Besides Hungarian cuisine, the Spíler Bistropub also serves international dishes such as burgers or stone-oven pizza, while the Spíler Shanghai focusses Asian delicacies. A perfect stop for lunch the next day is the restaurant kiosk, which is located near the Danube and has a large terrace on a very beautiful green square, which is also popular for open-air events. 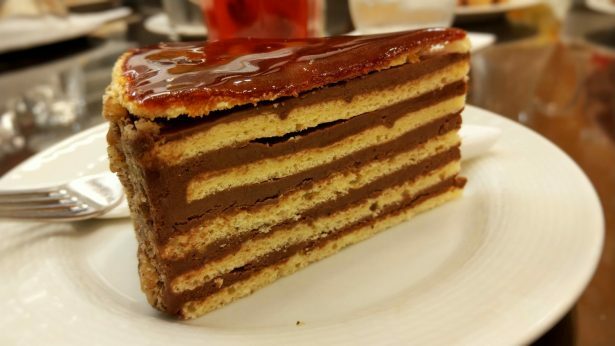 Here too, classical Hungarian cuisine is interpreted in a modern way, but there are also extremely interesting cocktails, cakes and desserts to discover. 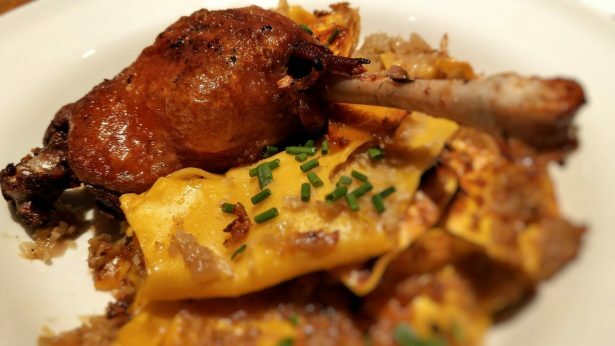 Alternatively, we recommend the restaurant Hilda, which is very conveniently located near the St Stephans Basilica. There is a three-course business lunch available here for less than 10 Euros which is in no way a reflection on the quality of the food. 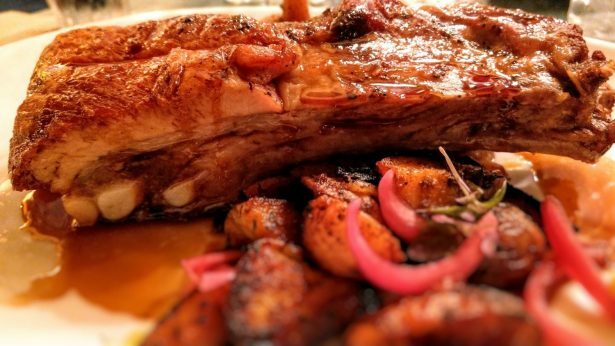 Special recommendation for dinner: The unbelievable pork ribs. 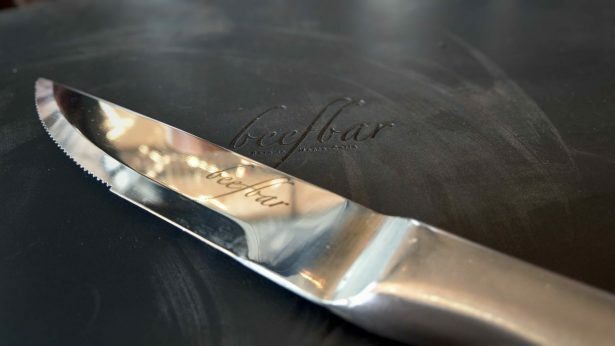 For absolute meat lovers or for all those who have enough of classic Hungarian cuisine there is the Beef Bar. 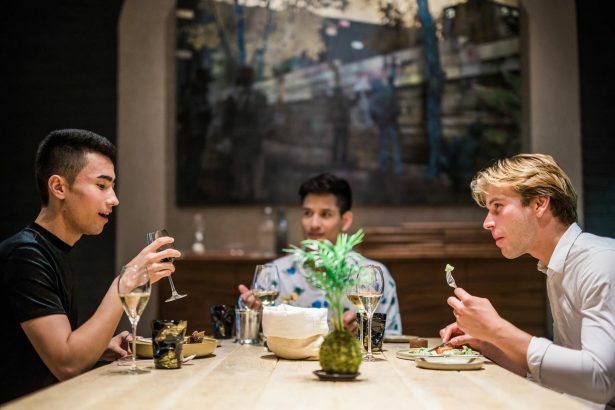 The concept of this restaurant, owned by a gay couple, is copied from Monte Carlo. (Similar restaurants can be found on Mykonos or in Cannes or Dubai). 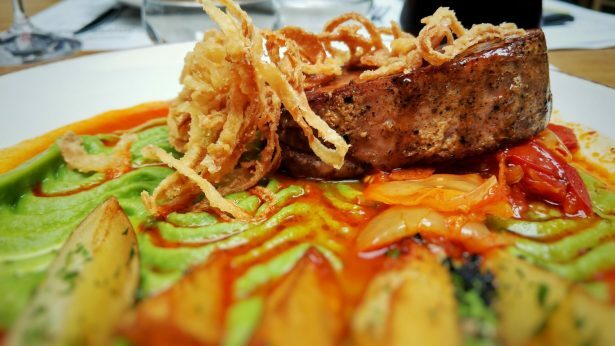 The menu boasts Argentinean angus, Irish veal and certified Kobe beef, which is hardly on the menu anywhere as its price easily reaches three-digit figures in Euros. The restaurant is located in the building of brand new design hotel Clark. Its roof terrace hosts bar Leo from which you can enjoy a breathtaking view of Budapest sipping champagne or a cocktail. Reservation is recommended. 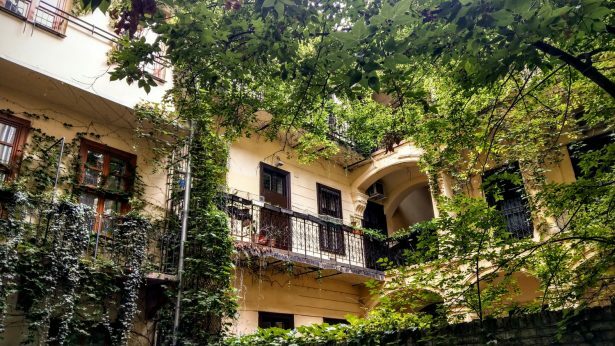 Partially dilapidated buildings, wild and romantic courtyards, pleasant people – all this can be found in the famous “Ruin Pubs” in Budapest . The first and most famous of these is the Szimpla, an unparalleled pub complex installed in a building once cleared for taking-down. People have drinks, fun and dance in the convoluted rooms on several floors every night. 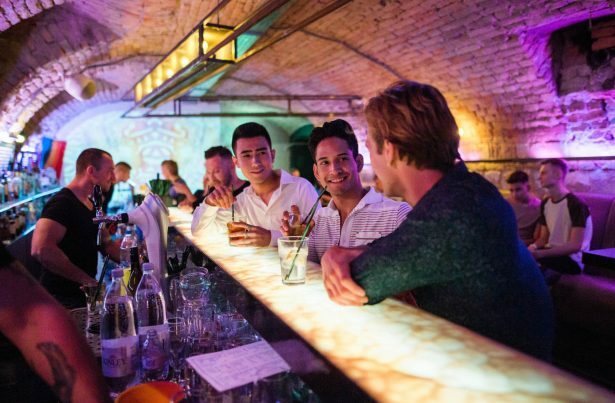 The LGBTIQ* scene in Budapest is very lively, indeed. Its venues don’t stand back to places in other European cities. 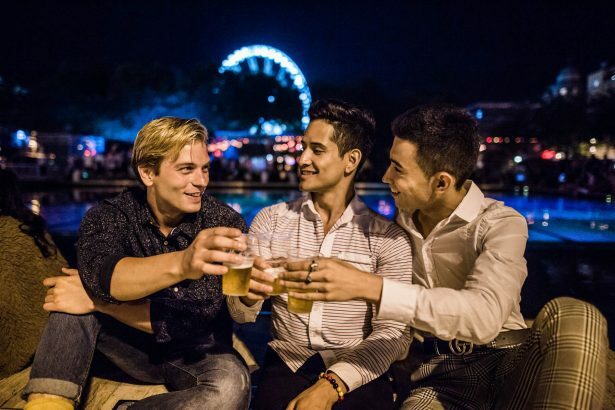 Budapest’s most popular gay club, AlterEgo, offers you beats on two dancefloors under two different mottos two nights per week and a trendy crowd. Every Friday and Saturday there is also a drag show. “Why Not?” is the name of two adjacent locations. 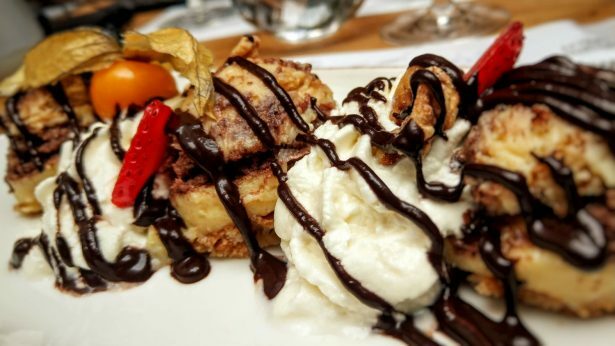 Why Not Bistro is a small but fine restaurant where you can have traditional Hungarian cuisine in an intimate setting. Why Not Café & Bar a few steps away is where you can go on into nightlife. Here you can be yourself and do sing out loud on some nights when karaoke is on. Bingo and shows are also on on other nights. Great atmosphere! You can find further information about what’s on and on which day in the local free magazine Humen, which is available at most LGBTIQ* venues. Budapest’s famous thermal spas have a good reputation, but with their unique architecture, healing thermal waters and a sometimes cruisy atmosphere, they are also an absolute MUST when visiting the city. The most famous thermal spa of the city, the Gellért, is located almost directly by the Freedom Bridge below the Gellért Hill.. If you are in Budapest for several days and want to get out of the city for a day (or a few hours at least), we warmly recommend “Lupa Beach“. An artificial beach has been laid out by a crystal-clear lake that can certainly compete with some beaches on the Mediterranean. Here you can either sunbathe, do water sports (wakeboard, etc.) or enjoy a variety of culinary delights. The beach can easily be reached by train or e.bus. For those who need their beauty sleep despite so many things to do have a large selection of beautiful and still inexpensive hotels to choose from. 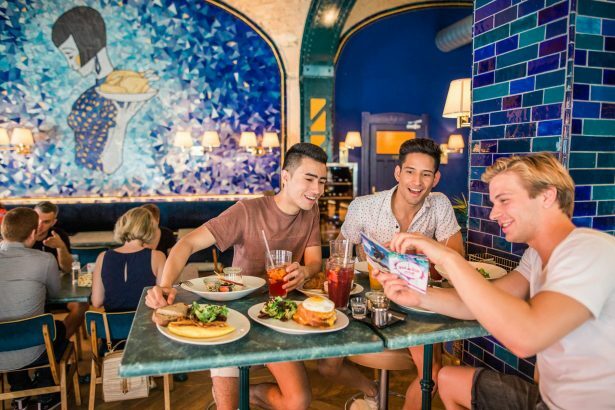 Our special recommendation: The beautiful design hotel Casati Budapest, which also and especially welcomes LGBTIQ* travellers to its 25 uniquely styled rooms (in 4 different styles). The ivy-clad courtyard is uncovered and thus offering a very special relaxing space in the middle of the city, close to the nightlife hotspot. Great breakfast buffet included. 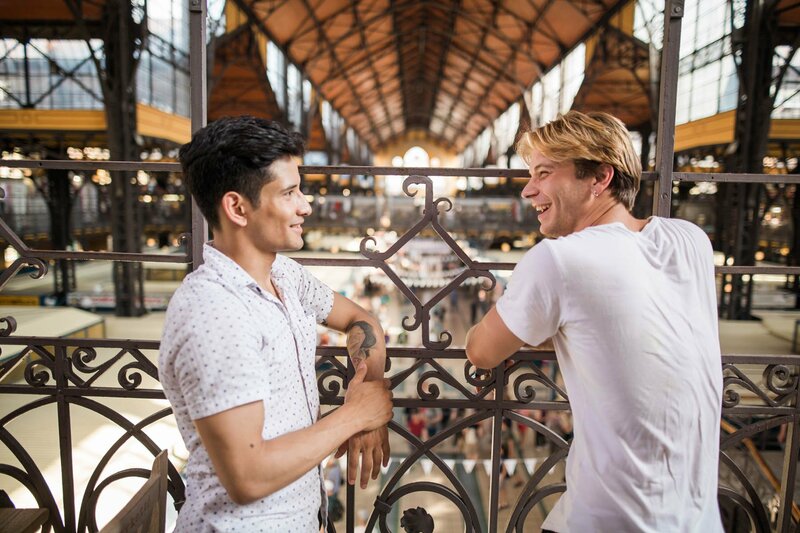 The Estilo Fashion Hotel is also centrally located (near the Grand Market Hall in a pedestrianised zone) and offers bright and comfortable rooms in colourful modern design, as well as friendly service. You stay only steps away from the main shopping area, restaurants, cafés and bars and also have a tram stop and Metro station just outside the hotel. Practical. Budapest Airport is served by a variety of full-service and low-cost airlines. The advantage are relatively low fares, the disadvantage the airport itself is permanently overstrained. Make sure you allow enough time when flying home as long queues are the norm here. Tip: You can buy a “Fast Track” ticket for 5 Euros at a machine that at least saves you the long queues at security check. But Budapest can also be reached by train (especially from southern Germany and Austria) and by car or coach.